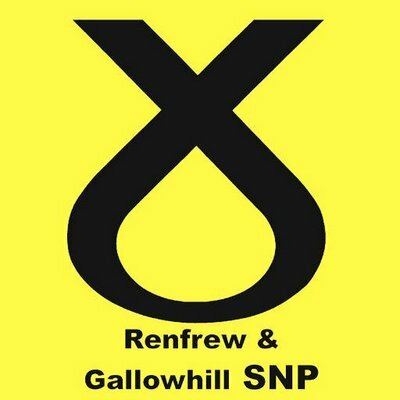 The Renfrew and Gallowhill Branch of the Scottish National Party (SNP) covers the town of Renfrew and Gallowhill in Renfrewshire. This site features information about our activities as a branch, our Executive Committee, contact details for the branch and how to get involved in our campaign and with the SNP. It also has a schedule of upcoming events within the branch’s calendar, as well as in the branch’s Scottish Parliament (Renfrewshire North and West) and Westminster (Paisley and Renfrewshire North) constituencies.